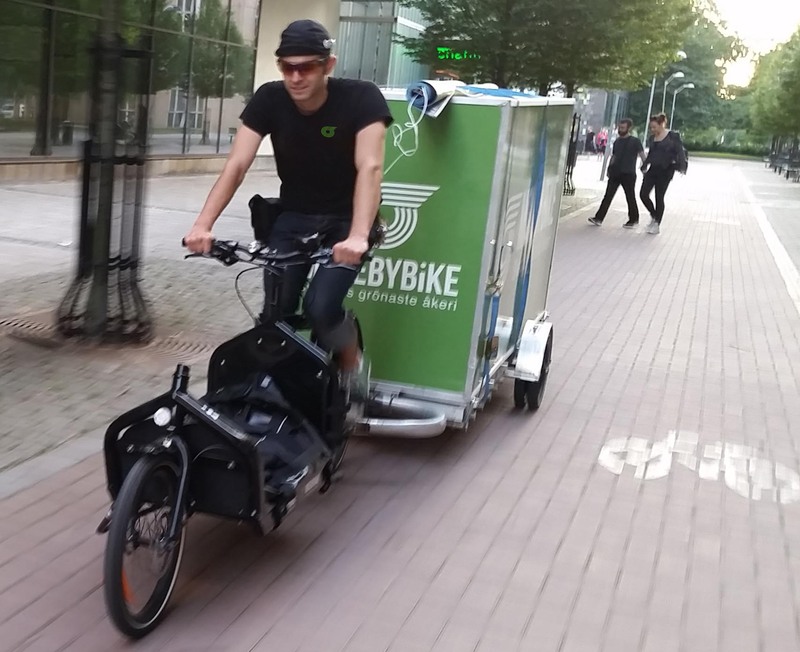 MOVEBYBiKE is one of the more fast-growing cycle logistics companies in Europe and have big plans ahead. Here is the story of their Stockholm branch, and why they are leasing Armadillos from Velove. Jeppe Larsen (left) is a true eco-entrepreneur and started an electric boat service in Stockholm a brand in eco clothing for kids and is also one of the founders of the organisation for circular economy, Cradle Net. Dmitri Fedortchenko (right) has spent his working life as an independent web and mobile app developer, and nurtures a passion for matters of climate change, liveable cities in general and cycling infrastructure in particular. In the middle also their first employee, Jenny Kinberg. In 2013, Jeppe and Dmitri got their first cycle logistics assignment. 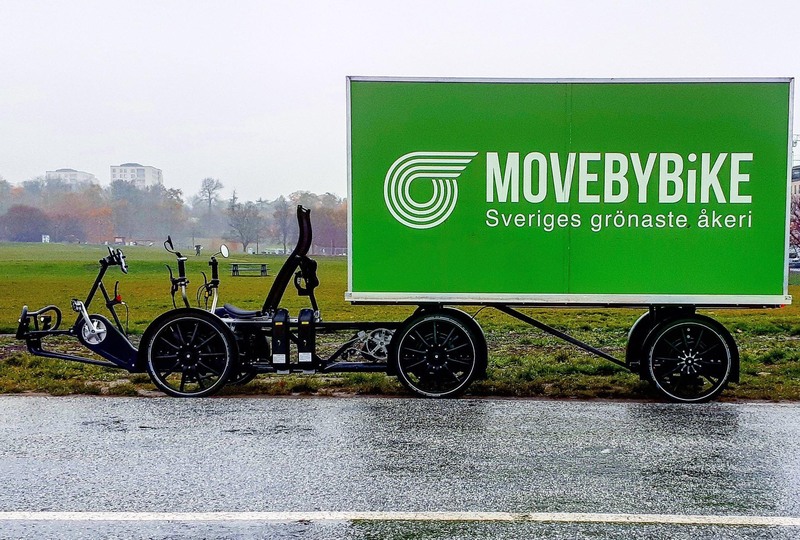 In 2014, their business started for real under the brand MOVEBYBiKE, in a licencing deal with the Malmö startup founded by Johan and Nils Wedin. In the beginning the tasks was mostly furniture transport. Gudrun Sjödén was the first big customer, allowing Jeppe and Dmitri to recruit their first employee, Jenny Kinberg. Second hand startup Sellpy also gave them a few assignments, and later grew to become their biggest customer. Other early customers were Houdini Sportswear, Nudie Jeans, Retoy and Trivector. Jeppe and Dmitri started out with Bikes at Work trailers to do furniture transport. When they got Gudrun Sjödén as customer in 2014, with daily restock of clothing to their city shops, they needed a vehicle that was better suited to the inner city traffic and quick loading times that was demanded by this new job. 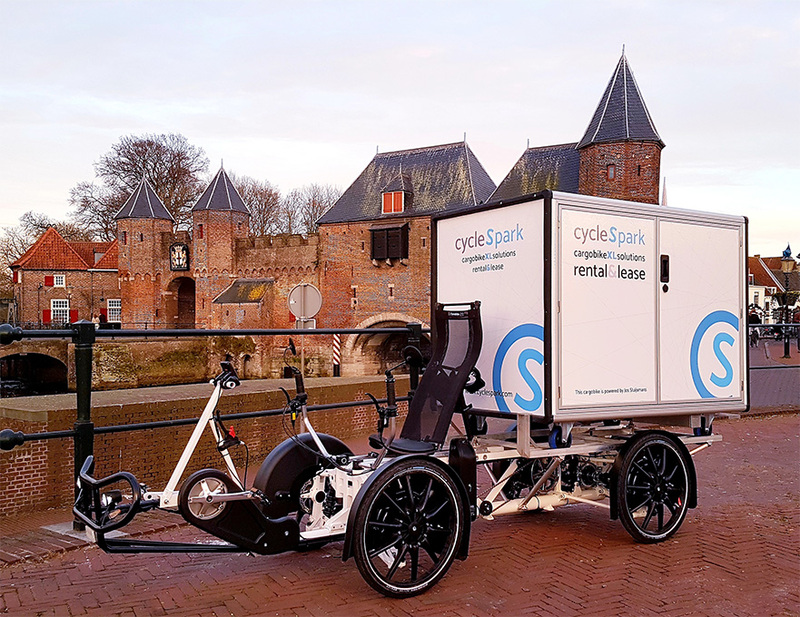 Velove co-founder Johan Erlandsson then advised them to try the Radkutsche Musketier, which he had just tried at the International Cargo Bike Festival and found to be the best high capacity cargo bike at the market at the time. Radkutsche was kind enough to send a test bike free of charge, which paid off, as Jeppe and Dmitri decided to start using their cargo trikes. 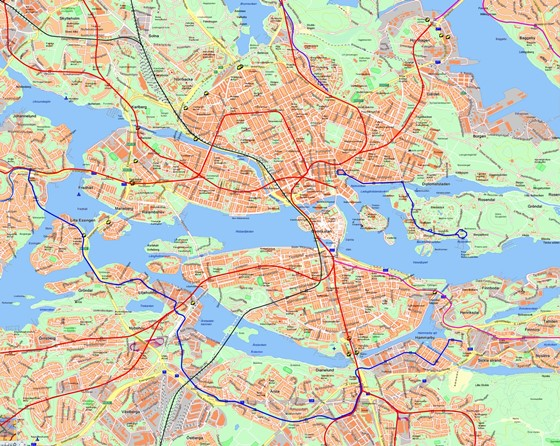 Stockholm is a big enough city to provide a good customer base and there are warehouses that are situated close enough to the city center for electric cargo bikes. It is also a traffic congested city and has decent bike infrastructure, which means that cycle logistics is competitive in last mile delivery. There are passages that are very narrow, and there are also some hills. This means that you can’t use too wide bikes, and if you carry more than 50 kg, electric assist is absolutely required. The bridges are the worst hills, and it can also be very windy on them. Normal operating radius form the city center is 5-6 kilometers. In 2017, MOVEBYBiKE got their first Armadillo, which has mostly been used for catering and parcel delivery. Jeppe and Dmitri helped us showcase that the City Container can be used on different cargo bikes. As Jeppe is into electric boats and Stockholm has so much water, there could be very interesting water way based containerisation projects coming up! Happy with the fantastic suspension and handling as well as better reliability and uptime, Jeppe and Dmitri decided to get a second Armadillo in 2018. This time with a semi-trailer, on top of which they reused an old, super lightweight box (actually an old Velove prototype). This Armadillo was taken on a leasing contract, the first leasing contract ever from Velove. The leasing allowed them to take another Armadillo without the hassle of dealing with the bank. The alternative to get another cargo bike would have been to get a cheaper bike. Cycle logistics really work, say Jeppe and Dmitri. But there is one important area of improvement: the reliability and service intervals for professional cargo bikes. After having used a small electric van for a while, the difference in reliability and service intervals is astounding. The electric van is more or less maintenance free, while the cargo bike fleet is requiring almost two full time mechanics to keep rolling. This has to improve. They see that Velove is taking a lead in improving cargo bike uptime, which is highly appreciated! 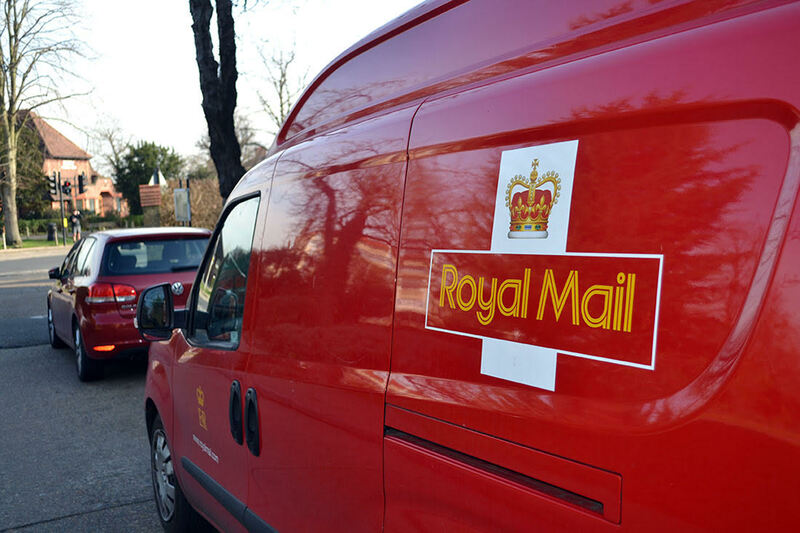 Having a software development background, Dmitri has developed a complete digital logistics system for cycle logistics companies, complete with route planning, text notifications, stamping clock, financial controlling and digital keys. The name of the platform is Eff3kt and will soon be offered to the market. 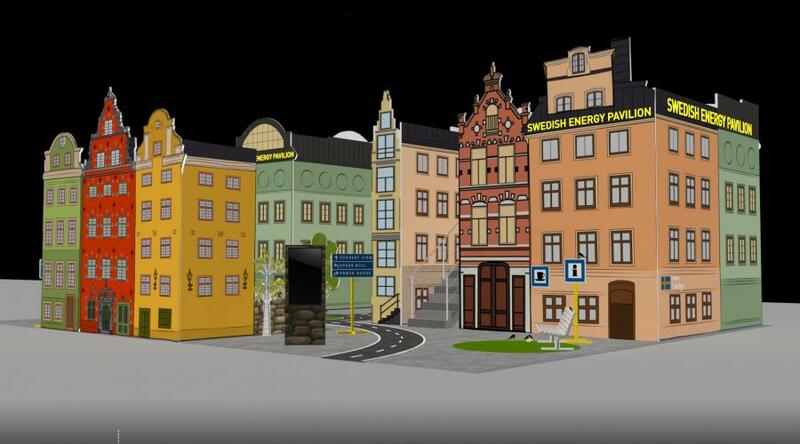 The City of Stockholm is today the biggest customer, with food deliveries to kindergartens and schools. Sellpy has also grown rapidly and has come to be a big customer. 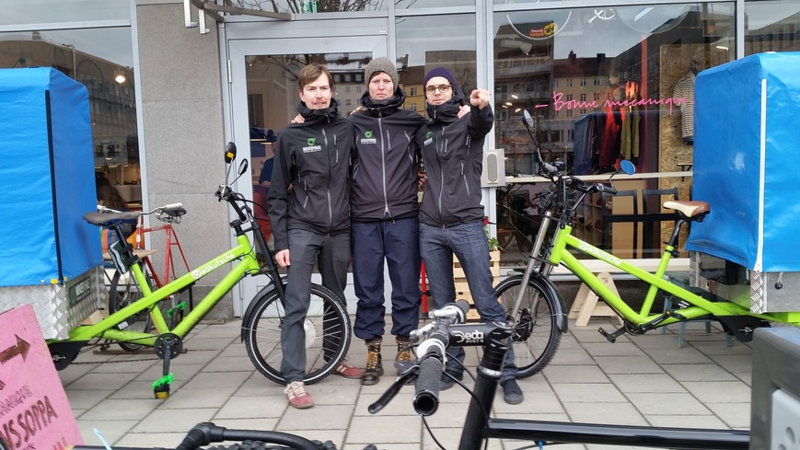 MBB Stockholm made M€ 0,5 in revenue in 2018, now employs 20 people and has a fleet of 14 bikes. The plan is now to gear up even more and go to 200 % annual growth instead of the previous 100 %. E-commerce is the obvious growth segment, for example with service partnership with Bring and Airmee. We wish Jeppe and Dmitri the best of luck in their quest to take away as many vans as possible from the Stockholm streets!